Crochet lace is making a big reappearance on the fashion front this summer. I like it because it can be both casual and dressy just by changing what you wear with it. Pair it with a dressy top & jewelry for a night out or just a breezy t-shirt for a lazy day with the kids. I wanted to make something colorful with an overlay of crochet lace and came up with this Crochet Layered Skirt. The best part is no purchased pattern required!! 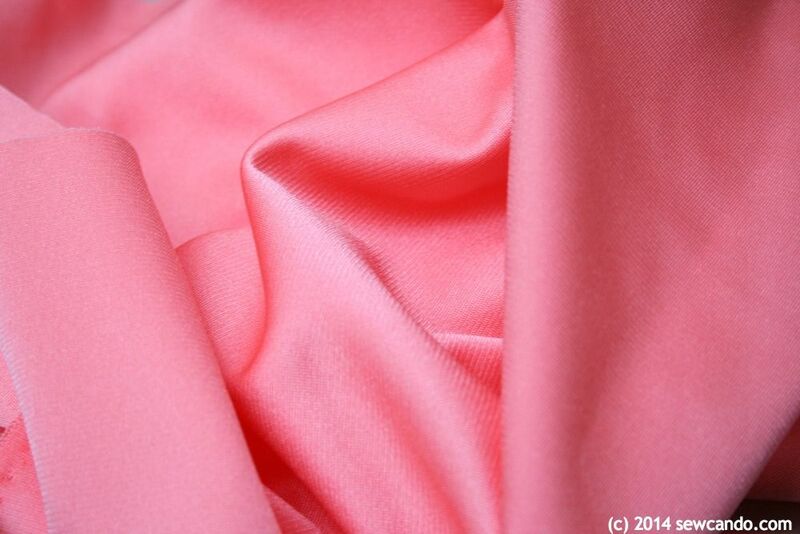 * Exactly how much fabric you'll need depends on desired the length and size of your skirt. I'm about a size 4 and wanted mine to be 18 inches long, so about 5/8yd was enough. 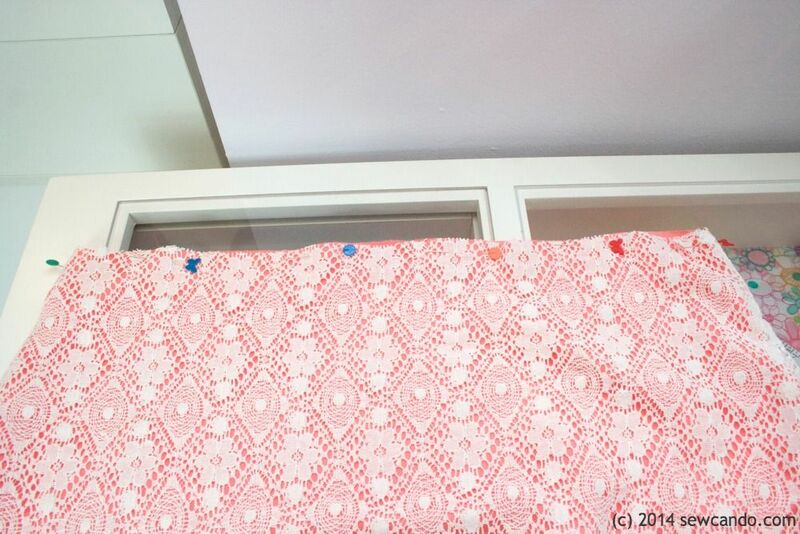 For my lining I used some scraps of peachy-pink vintage fabric leftover from a dress my mom had made years ago. It was some sort of synthetic with a silky sheen and a little bit of stretch. On it's own it would have been a bit too much as a primary fabric, but it was perfect as the under layer for this skirt. Don't be afraid to try a color or fabric outside your usual comfort zone! 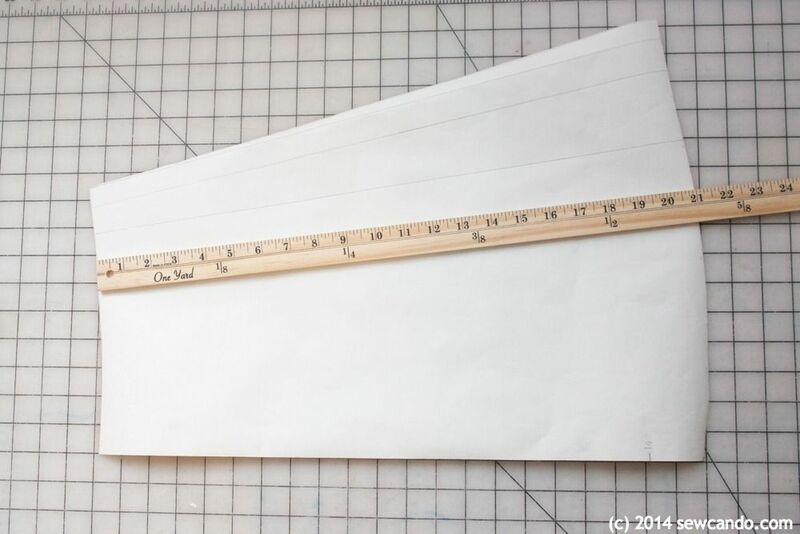 To start, we'll need to make a paper pattern based on measurements. It's quick & easy - I promise! 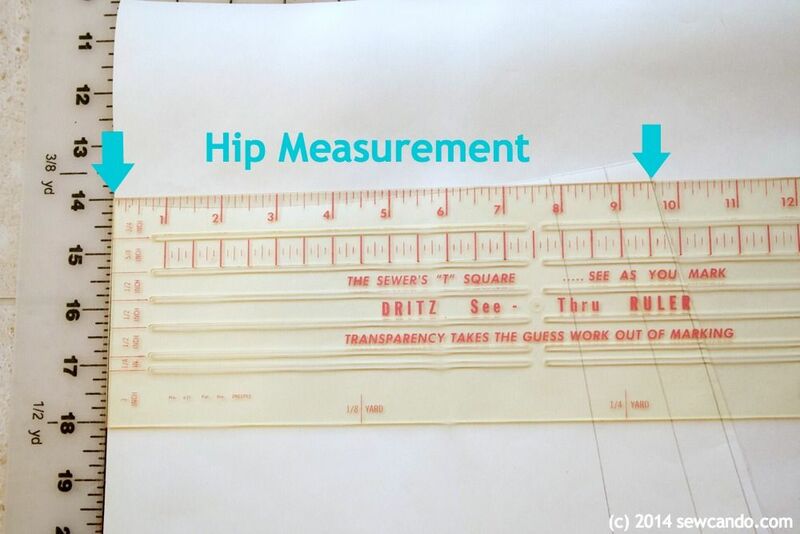 Start by taking a hip measurement and deciding on your skirt length. 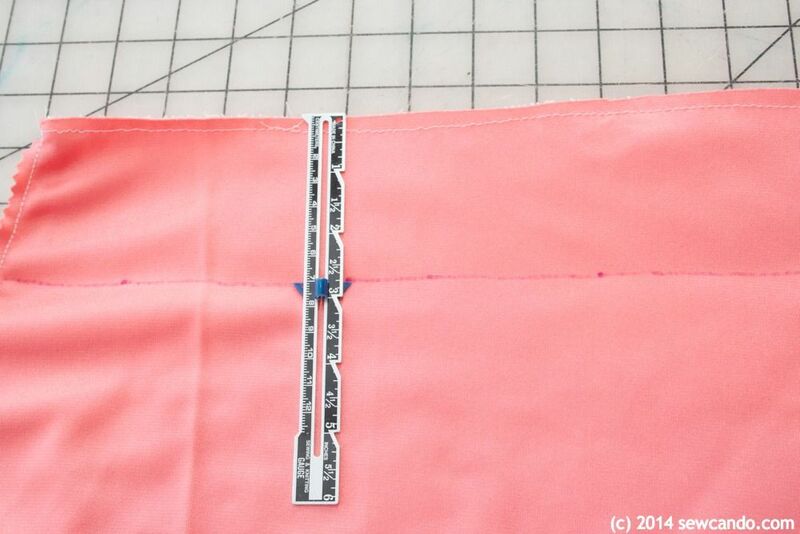 To calculate the waist, take your hip measurement and add 4 inches (this is seam allowance + ease), then divide by 4. So for a 34 inch hip, the measurement would be 9 1/2 inches. 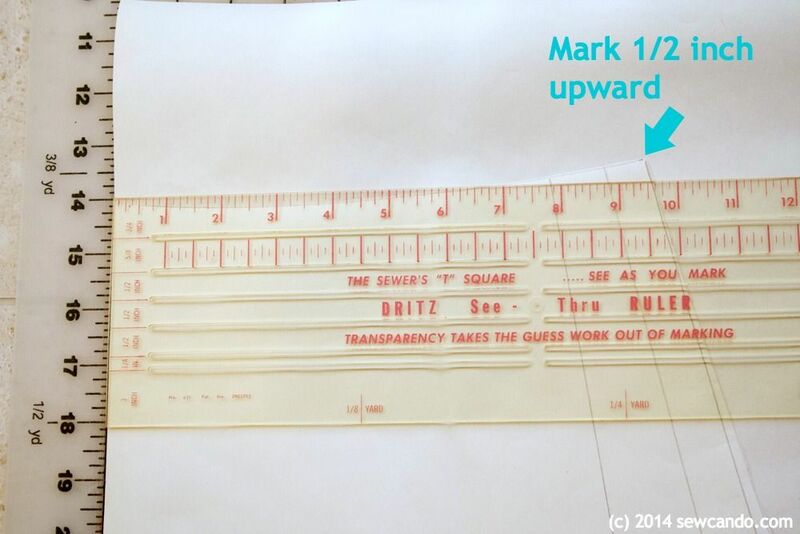 Make a mark on the edge of the paper and this number of inches to the right of the edge. 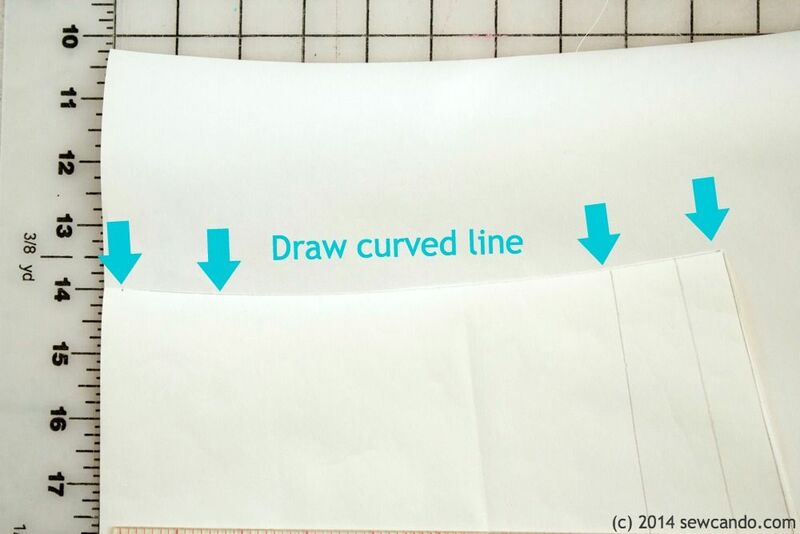 Next, connect the edge mark and top mark with a curved line to create the waist (a design ruler can make this super easy, you can find more info on those here). 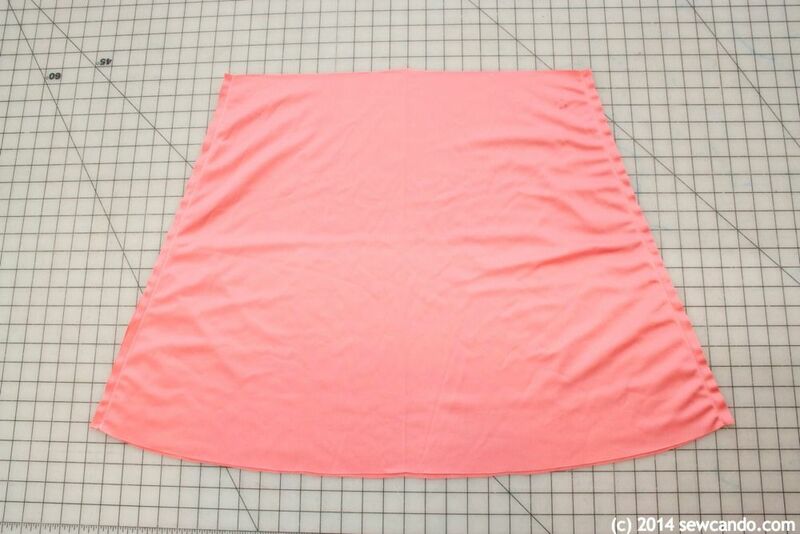 Take the desired length measurement and add 3 inches for the waistband and mark this far down from the waist. Use a yard stick to make and flare out as much or as little as desired from the outer edge. 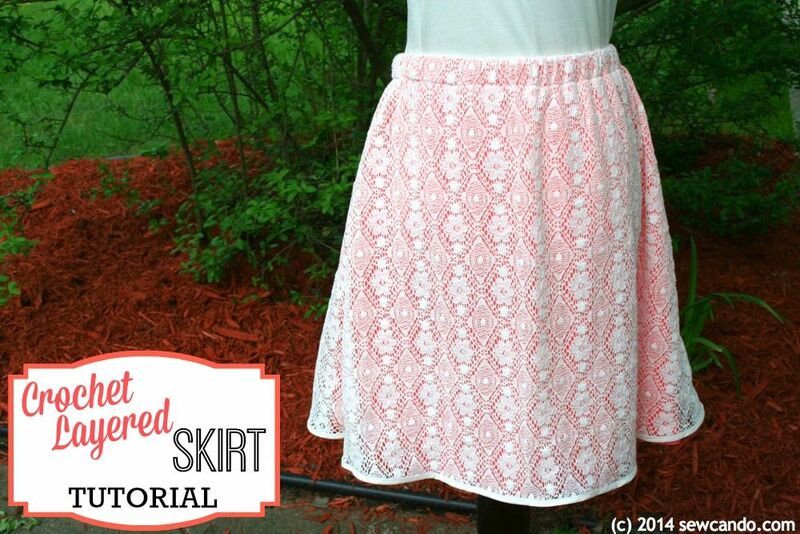 Cut out and your new, custom fit, skirt pattern is ready to use. 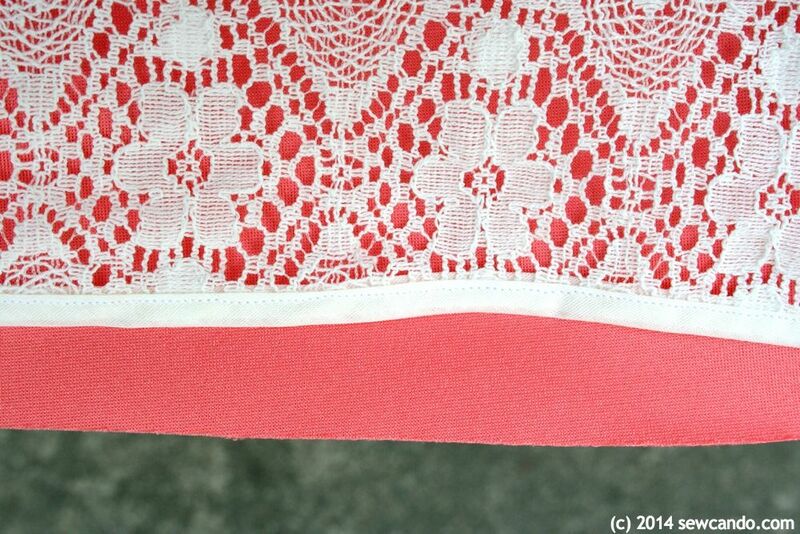 Now cut out two pairs of skirts - one from the lining, the other from the crochet lace. Each piece will need to be cut on the fold. I stuck a pin through the wrong sides of my lace since it can be tricky to see which side is which after you've cut off the selvage. With right sides facing, stitch together the side seams of each pair with a 1/2 inch seam allowance. 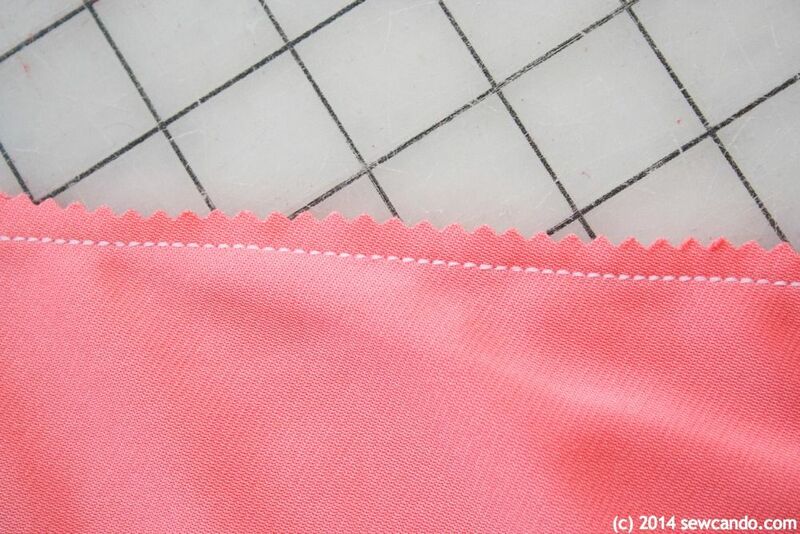 On my lining I just trimmed my raw edge with pinking shears since that fabric was no-fray. I trimmed and then did a short zig-zag over the edge of the lace to keep that from fraying. I'd show it, but it's impossible to see the thread through the lace (which is good since it makes the seams pretty hidden). 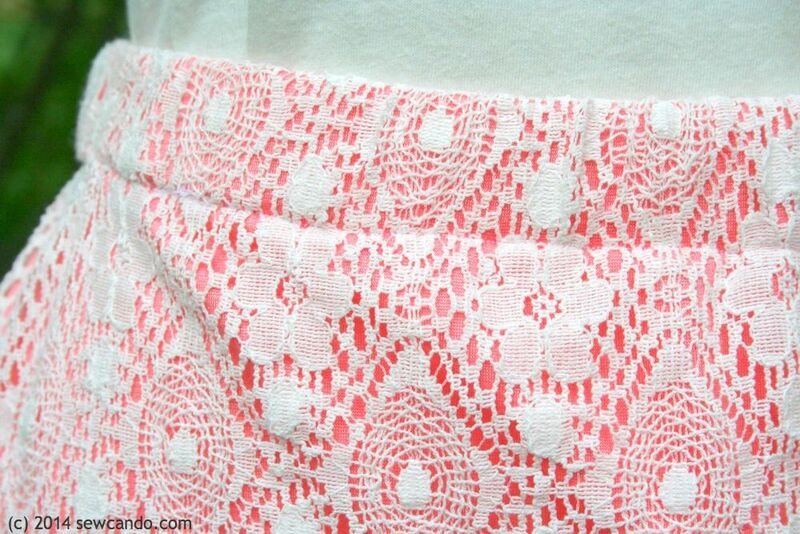 Now pull both skirts right side out and place the crochet lace over the lining and pin at the waist. Baste all the way around 1/4 inch from the edge. Time to do the waistband! Since my lining fabric was vintage scraps, I wasn't sure how iron-friendly it was to press the waistband folds & didn't want to risk ruining it. I measured 3 inches down from the edge and drew a line all the way across each side with my disappearing pen. Then I folded the raw edge down 1/2 inch by hand and then folded down again to the marked pin and pinned. I stitched all the way around, 1/4 inch from the fold edge, and left a 1 inch gap to snake my elastic through (using a safety pin on one end). Then I overlapped & stitched the elastic ends together, then stitched the gap closed. To finish off the hem I kept it simple. Since the lining won't fray I left it raw. It's underneath so it's not noticeable. For the crochet overlay I used some cream colored 1/4 inch wide double fold bias tape. I worked slowly to make sure the lace was well and truly encased all the way around. I really like how it looks and it also gives a nice effect so the skirt's folds flare slightly instead of just hang straight down. 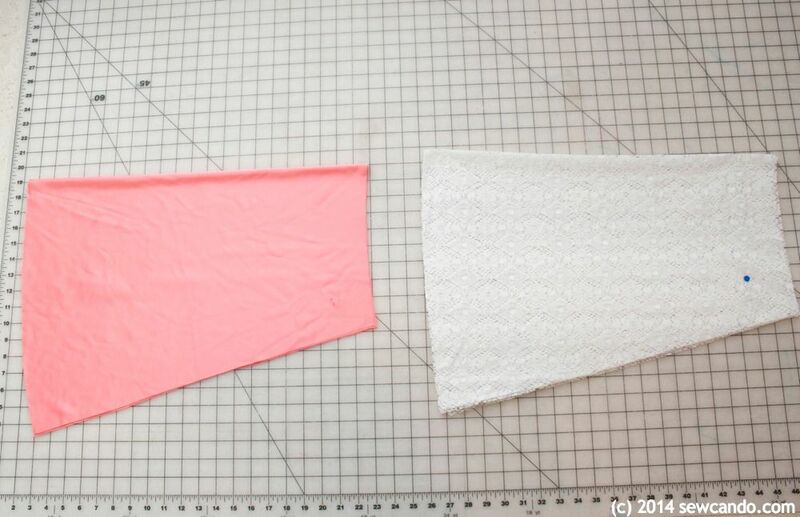 By changing the length, flare of skirt, lace style and lining color you can make loads of different versions. Summer fashions sorted! This really is beautiful and it looks like a simple pattern! Thank you for sharing the tutorial. I definitely need to work on my sewing skills! Have a wonderful day! It's very easy to make - even for a beginner. If you can sew a straight line, you can make this! Lovely skirt, Cheryl! Love it! Thanks for sharing! 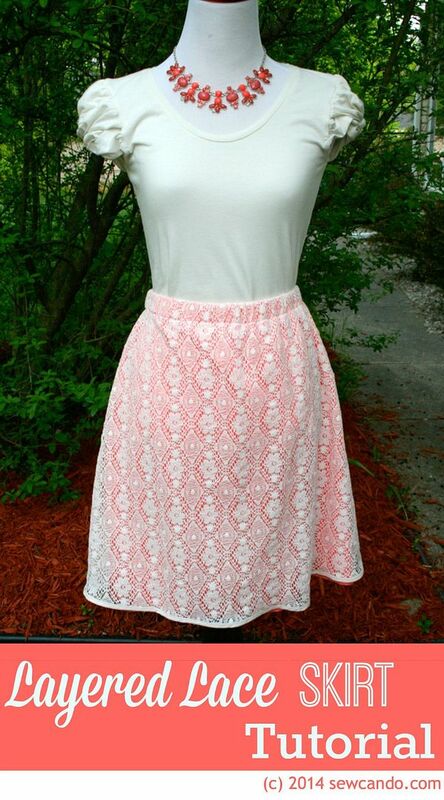 I absolutely love this lacy skirt. Thanks so much for the tutorial, Cheryl! Wonderful tutorial. The skirt is darling. I think I'll try making one. Thanks. I hope you do Ann - would love to see it! Very pretty...I wish I could sew! Thanks for sharing on the Thursday Blog Hop! Beautiful! 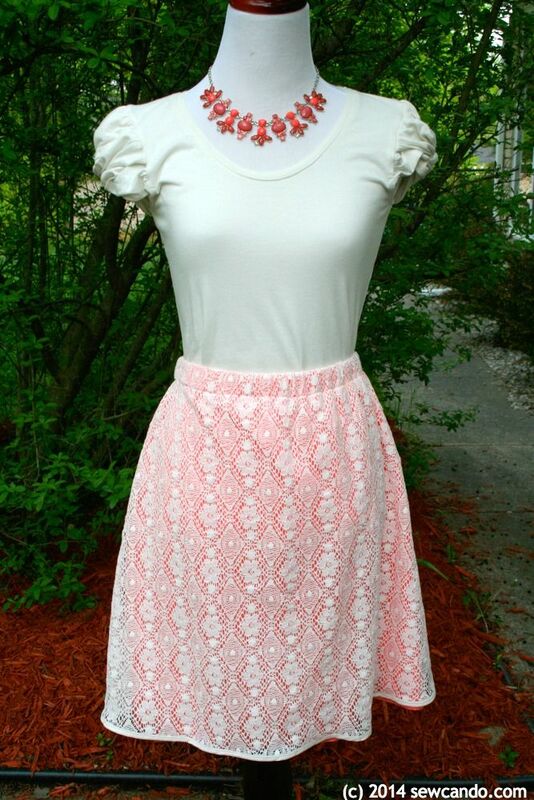 Love this skirt and the crochet lace!! This is gorgeous! I love it and have already pinned it. I don't usually make clothes for myself--just the kids--but this makes me want to make something for me! So glad to hear that Jennifer!! I'm the same way, but this skirt was such a fun project I can't wait to do more! This is so pretty! Thanks for the tutorial. 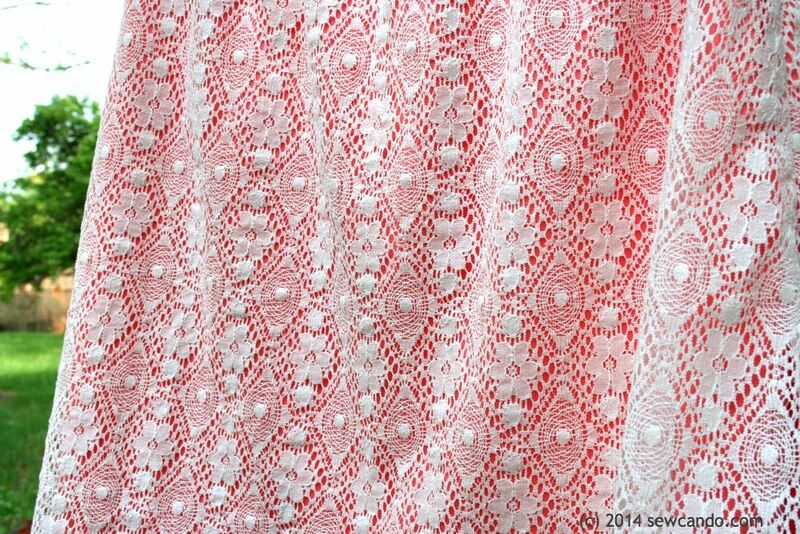 I have some old net curtains that would look great as a skirt! That's a great idea Lisa. Would love to see it when you do! 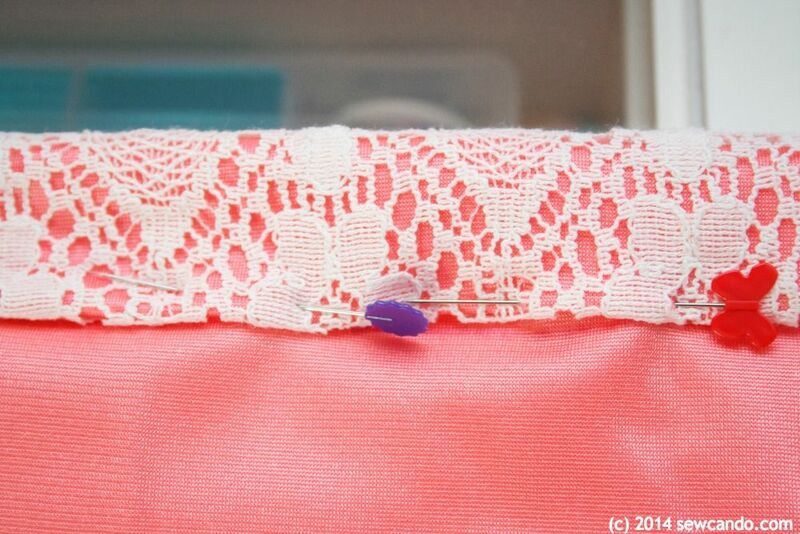 Cheryl - Thank you for answering my question regarding lace overlays - this was very helpful and I appreciate you.